The biggest violator of Americans’ privacy may not be the government but corporations. Every time we use rewards cards to ring up bonuses at the supermarket cash register or book a flight and rack up frequent flyer miles, we’re sharing information with businesses. Harvard University Institute for Quantitative Social Science fellow Adam Tanner visits Zócalo to explain how our information came to be harvested and manipulated by corporations—and to ask what we can do about it. Below is an excerpt from his new book, What Stays in Vegas: The World of Personal Data—Lifeblood of Big Business—and the End of Privacy as We Know It. Why do you have so many rewards cards in your wallet? You can thank Caesars Entertainment, which pioneered data collection. Gary Loveman, the CEO of Caesars Entertainment, and his math nerds do not wander casino floors personally sizing up customers as Benny Binion and old-time Vegas hands once did. Rather, they study data about customers’ past visits and project their potential future value. Just watching someone at a gaming table or slot machine for as little as 60 minutes makes it possible to predict how valuable a gambler may be in the future. It all comes down to how much someone typically bets, how many bets in a row he places, and how skilled he is. Such personal data is so valuable that Caesars sometimes reimburses newcomers for up to $100 in losses if they sign up for the rewards program and gamble for an hour. The data gathering begins soon after a gambler walks into the cavernous casino lobby. A slight haze may linger from smoke (in the United States most casinos are among the last great refuges for those who enjoy cigarettes). A subtle perfume scents the air, pumped in to create a specific memory sensation. The gambler looks for her favorite slot machine and plops down. She reaches into her wallet and pulls out her Caesars Total Rewards loyalty card. She reaches toward a card reader surrounded by dotted orange lights. It turns green after she inserts the plastic card. From that moment, the casino records everything, starting with how much cash and paper ticket value she puts into the machine (coins were phased out more than a decade ago). Caesars know exactly how many times she pushes the button triggering the electronic wheels to spin in random combination. They know how much she is losing (or, less often, winning) from the moment she starts. The law of averages means that everyone will lose over time. Yet the casinos want her to keep returning, so they will do everything they can short of rigging the machines to mitigate a particularly bad day. If she loses far more than she traditionally wagers and far worse than the game’s mathematical odds predict, a host, tipped off by a message to a smart phone, might arrive with a coupon for a free buffet to cheer her up. The logic? A bad day could inspire a gambler to defect to another casino to change her luck. From time to time a host will greet elite-status slot machine players. At Caesars Palace, that might be Holly Danforth, a striking 6-foot-tall blonde in her late 20s who aspires to become an actress or model. She introduces herself and addresses the player by name, which she knows from the data on her cell phone. “Most of the time they are very shocked,” she says. “They ask, ‘How do you know that?’ I tell them it’s by their participation in Total Rewards.” She then gives out a business card and invites the player to contact her for any future assistance. If the player is a man who makes a pass at her, something she says happens all the time, she tries to gracefully extract herself and continue toward the next VIP. Taking a break in the action, the gambler heads to one of the casino’s many restaurants. The maître d’ asks if she is a Total Rewards member. The waiter hands her a menu with two rows of prices, with a few bucks off each item for loyalty members. Or she could sign up for six all-you-can-eat buffets within a 24-hour period at the discounted price of $47.99. Caesars record exactly what she orders and over time chart her favorite foods. Capping off the evening at a show, she hands in the card to buy tickets, giving the management insights into what kind of entertainment she prefers. In a fast-moving table game like craps, a supervisor notes down bets by visual observation, less precise monitoring than with slot machines. A player can later check credited points on a casino computer. If the gambler feels shortchanged, management can review a videotape of betting. The supervisor also keeps a close eye out for players trying to game the system. Some bet especially heavily when the supervisor comes into view, hoping they will be credited with more loyalty points. 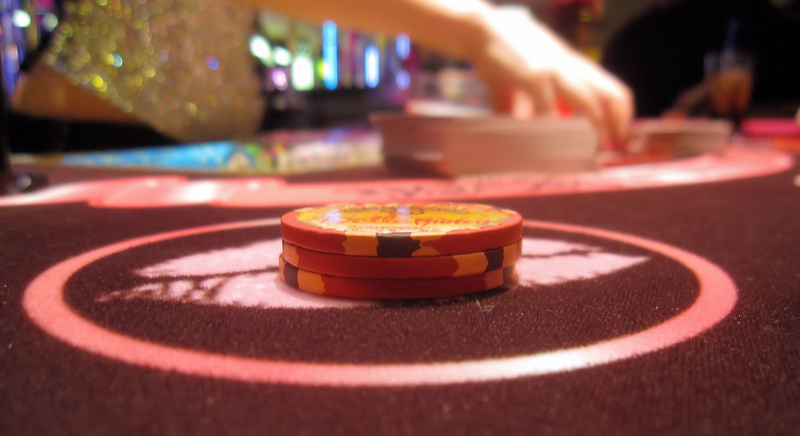 Others quietly pocket some of their own chips to exaggerate their losses (casinos are especially keen to lure back losers with generous future offers). The company is considering spending tens of millions of dollars to buy chips embedded with radio-frequency ID transmitters, which would allow the casino to track bets to the exact dollar. Rod Serling’s old Twilight Zone episode, titled “The Fever,” portrays a slot machine that knows the elderly husband’s name, Franklin, and beckons him in an ominous voice. His obsession eventually drives him mad. Today Franklin might receive a direct solicitation for his business by mail, e-mail, or smart phone. A host might also call him up to see how he is doing. Some critics say all this clever marketing exploits those with a particular weakness for gambling, especially those who suffer from gambling addiction. Loveman responds that while gambling addiction is a real issue, 98 percent of his clients can dispassionately decide whether to take advantage of a marketing promotion. These clients can rationally decide to buy or not in the same way they might review a new offer for books or products from Amazon.com. By tracking a gambler’s last visit, a casino has information that can help lure him back in the future. Such logic motivates many companies far from Las Vegas to collect our personal data. Whether it is a local restaurant, airline, or online retailer, businesses want to know as much about us as possible, hoping to gain an edge in marketing. Even if you have never set foot in a casino, many businesses—credit cards, banks, alarm companies, magazines, divorce lawyers, you name it—are trying to serve up individualized offers based on their interpretations of your personal data. You don’t get a pile of free chips from those companies, of course. But you might get a free flight, meal, or other benefit based on your value as a customer. Excerpted from What Stays in Vegas: The World of Personal Data—Lifeblood of Big Business—and the End of Privacy as We Know It by Adam Tanner. Reprinted with permission from PublicAffairs. *Photo courtesy of Las Vegas Blog.